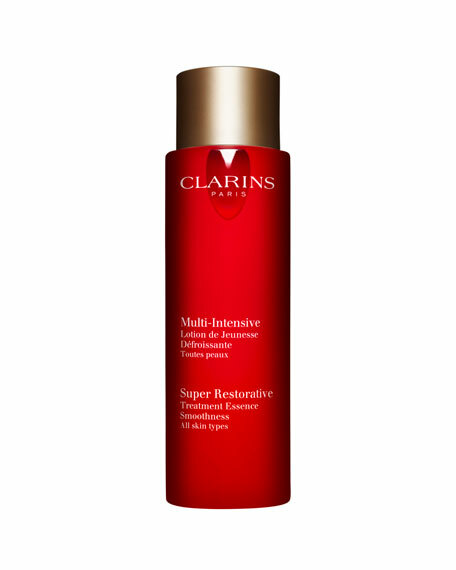 Clarins' energizing treatment essence helps improve the look of skin weakened by the natural aging processfor a more even complexion, tighter pores, improved radiance and soft, younger-looking skin. 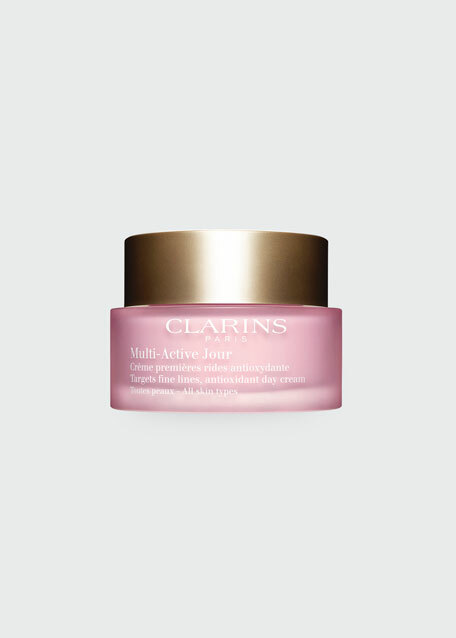 Gently exfoliating Hibiscus Flower acids clear the way for easy product absorption. 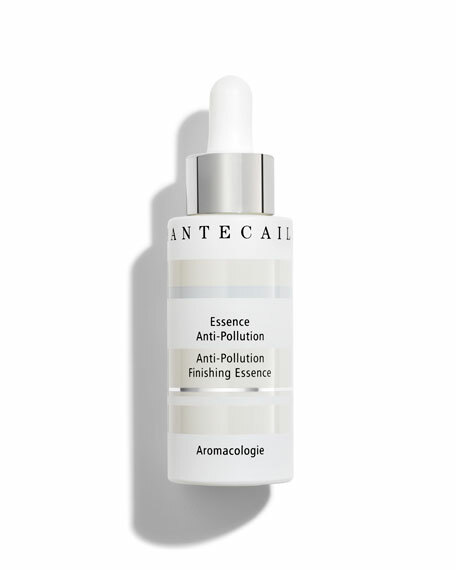 Replenishing organic Harungana extract instantly smoothes. 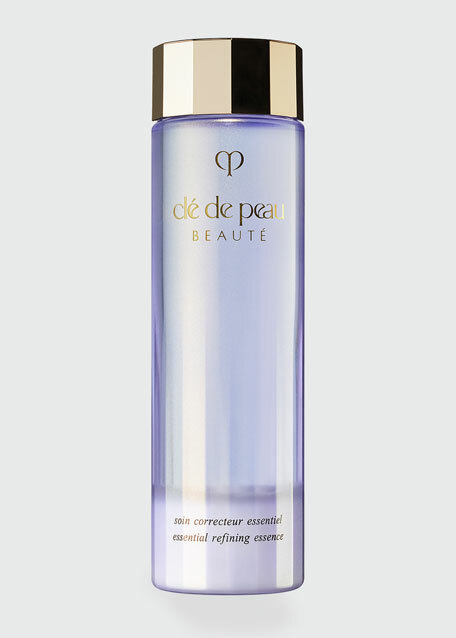 Ginseng extract revives radiance. 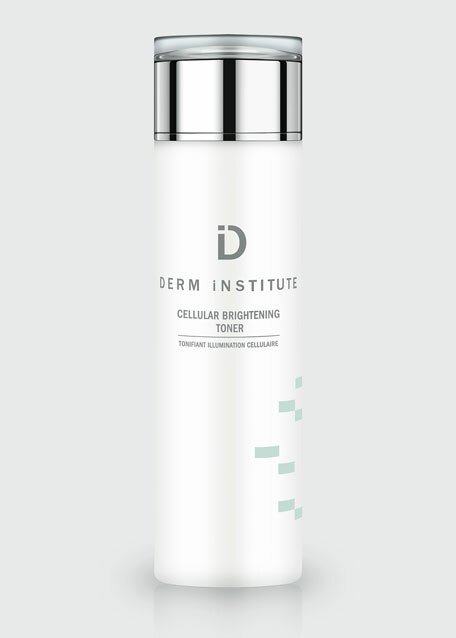 Skin is prepped to receive the full benefits of the treatments to follow. After cleansing, apply to clean, dry skin using light tapping motions, or with a cotton pad soaked in lotion.